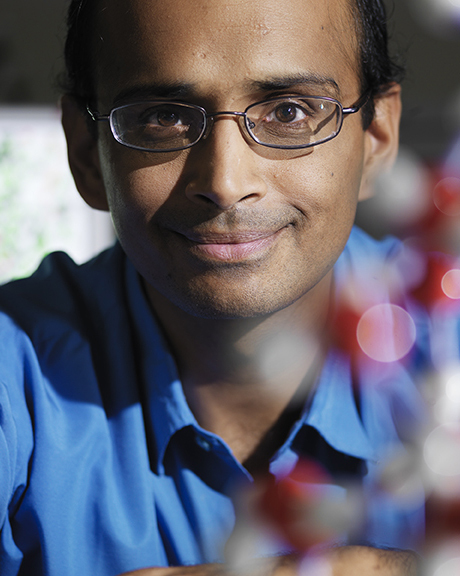 Ram Devanathan named ACerS Fellow Enlarge Image. A materials scientist at the Department of Energy's Pacific Northwest National Laboratory has been elected to the rank of Fellow in the American Ceramic Society. Ram Devanathan is one of 15 society members selected for the honor this year. His selection brings the total of current PNNL staff members who are ACerS Fellows to seven. The society, known as ACerS, has more than 11,000 members in the ceramics, glass and materials science community. The rank of Fellow recognizes members who have distinguished themselves through outstanding contributions to the ceramic arts or sciences, broad and productive scholarship in ceramic science and technology, conspicuous achievement in the ceramic industry, or by outstanding service to the organization. Devanathan is internationally recognized for his research on fuel cell membranes, radiation-resistant ceramics and semiconductors, nuclear fuels and nanoscale processes in ceramics. He was a 2012 recipient of an ACerS Richard M. Fulrath award that recognizes individuals for their excellence in research and development of ceramic sciences and materials. The Fulrath awards promote technical and personal friendships between professional Japanese and American ceramic engineers and scientists, and encourage a greater understanding among the diverse cultures surrounding the Pacific Rim. Devanathan earned a bachelor's degree in metallurgical engineering from the Indian Institute of Technology Madras in India in 1988, and a doctorate in materials science and engineering from Northwestern University in 1993. He also holds an MBA in general management from Washington State University. He will be honored at the society's annual meeting in October in Columbus, Ohio.